It felt great to collectively accomplish a week of setting up five pop-up clinics in rural communities around Xela, and providing free medical care and prescriptions to approximately 400 patients. This experience would not have come to fruition without Timmy Global Health’s partnership with Pop Wuj. 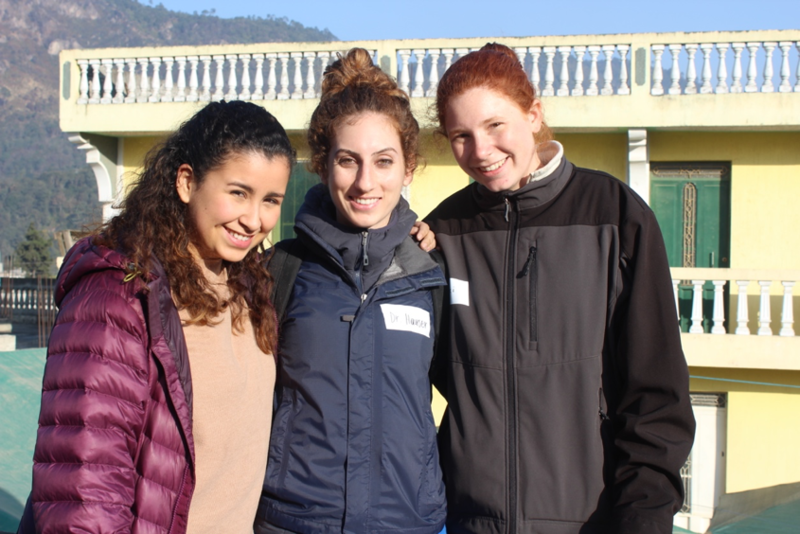 The staff members at Pop Wuj, who assist in all medical brigades year-round, foster an ongoing relationship with the communities through having continuous conversations and building trust to provide tailored medical care for the patients. During these clinics, my responsibility was to translate between Spanish and English for the medical professionals and patients. One of my favorite things during the consults was participating in the conversation and understanding the impact first-hand when the care was implemented. The doctors were also teachers, insisting that the students scribing and translating for them understood the medical concepts behind each diagnosis. I really appreciated when they explained their train of thought as they deciphered how to diagnose a patient based on his or her symptoms. Translating between two languages can always be a challenge. However, the hardest part for me was having to recall specific medical terminology in Spanish. I had an active role in each consult because besides the translation, I also had to communicate the compassion and empathy from the doctor to the patient. Sometimes the language barrier made it feel as if something was lost in translation. This disconnect often made me feel responsible to ensure that patients felt comfortable enough to express their concerns. In many cases, when translating the diagnosis and the prescription being given, I was worried that the patient was too embarrassed to voice their confusion. Therefore, I found myself asking patients additional questions to ensure they understood the doctor’s diagnosis. Although I knew it was not my responsibility to counsel patients as the middleman, it was my instinct to comfort them once after they confided in me.